MTS: Tell us a bit about your role at Getintent and how you got here. (What inspired you to co-found Getintent)? I founded Getintent in Moscow, Russia, in 2013, with my partner Vlad. We used to study together and both had a background in math. After finishing university, attracted by accountability and predictability, I picked digital marketing as my career path and Vlad picked IT, which was more the standard for math students. 7 years later each of us independently decided to build a programmatic platform. Vlad was one of the pioneers of RTB due to his early experience in Iponweb, so he wanted to start his own business in this area. I used to be Head of Online Advertising at one of the biggest Russian e-commerce companies, so I was a client of several global DSPs and could see all their limitations. We found out that we have similar plans and decided to meet one day to discuss what we could do together. The same day we agreed to found Getintent. My main focus is sales and business development, Vlad’s focuses on IT and operations. MTS: Middlemen mucking up the ad supply chain is dumb. 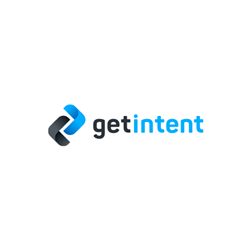 How does Getintent’s bidder help publishers and advertisers reduce costs? First of all, our bidder is media-agnostic, we support video, mobile, native, and desktop. So we can be one stop shop for all programmatic buying needs, which removes the cost of jumping from one platform to another. But what’s most important is our goal-agnostic AI, which can optimize any performance metric starting from clicks to AVOC. AI is the core of our platform. Right now, we see a great success in video optimization, our clients optimize view rates and completion rates. We also offer to the clients our header bidding solution, which helps them to connect to the selected publishers directly, removing all middlemen. MTS: What do you see as the single most important technology trend or development that is going to impact us? AI is the most important technology. Anything can be predicted and optimized now. It’s all about efficiency and it works in all fields. SSPs filter their traffic and send to DSPs only those impressions, which have the highest probability of resulting in a sale, which reduces server load and maintenance cost for both parties. For performance marketing, AI helps to spend less money in order to achieve goals. For retailers, it optimizes the supply chain. Overall, we are moving toward a more efficient and sustainable world, with less resource wastage. MTS: Clickbait and extreme content – How is Getintent’s AI/ML poised to deal with this? We built our proprietary keyword targeting, brand safety, and antifraud tools. We block all suspicious inventory at pre-bid level based on various parameters. It’s not manual blocking, our machine learning algorithms actually learn how to identify suspicious traffic and avoid buying it. 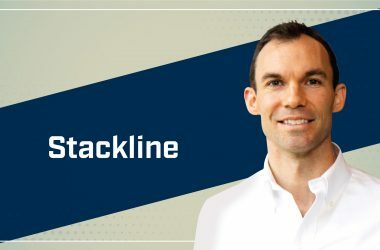 MTS: How does Google’s Exchange Bidding in Dynamic Allocation (EBDA) affect adtech firms and header bidding in general? Google obviously takes advantage of their market share, but it creates more problems for SSPs rather than for DSPs. Overall AdX is one of the cleanest inventory sources for us and we like their ‘selective callout’ feature, which sends us only the most relevant traffic. If we want to get the first look for our advertisers, we place our header bidding adaptor directly in the publishers’ header bidding container. I watch all AI startups in different markets. Especially where AI solves some tangible problems and helps to save resources. We try to save every penny for our clients. That’s why with 3d-party vendors (Lotame, IAS, etc), we give our clients free access to our tools which are built in-house. We have our own DMP where they can store their 1st party data and build unique segments. Clients can use our AI, which supports various performance optimizations. They have free access to keyword targeting, brand safety tools, and our pre-bid antifraud. They can even code their own buying algorithms to implement on top of our bidder. What’s also important we have very strong API, so our sophisticated clients can integrate our stack to their existing platforms. One of our clients is a big performance agency. They use our API and simultaneously run more than 1000 campaigns, each individual campaign has own strategy and targeting. We are integrated to their backend where they track ROI on a campaign level. In order to optimize their processes, we built a new feature for them which allows to target hundreds of domains, devices, etc and to change bids on a domain/device level within one campaign. This feature helped them to simplify operations significantly and increase performance. I also like to check their log of changes. It excites me to see how they make hundreds of bid adjustments every minutes based on real time ROI. We try to be very careful with time and money resources. Our philosophy is that clients should pay less and everything should be done quicker. So when in nearest feature most of processes will be automated we don’t need to lay off half our team. We don’t relay in manual work. Wasteful startups who get used to solve problem through throwing more money and people at the problems will be in troubles. Smart and hard. It’s not enough to work just smart how some startups think. All my life is in Evernote. So it’s #1 app in my life. I also use toggle a lot. I track all my activities to see how much time I spent on them and whether it was worth it. So right now when I write these lines I see my Toggle’s timer showing how much time I spent on this task. I removed all notifications on my cellphone. I often block social networks during working hours on both cellphone and laptop. I try to read emails 3-4 times a day at specific time, not constantly. My goal is to create more proactive atmosphere rather than reactive. I noticed that if I constantly check emails and messengers, my working day looks more like video game where I collect points by answering emails and messages, rather than creating something or moving big tasks. I begin every morning, by putting 3-4 goals for the day on paper. All these actions help me to stay focused and proactive. I have recently acquired a new habit. I try to take notes after every meeting, conversation or interesting experience. It also helps to stay in the present moment. I use Evernote for that and put a few tags on each note, so I can find quickly any note by person’s name or location. I just finished ‘Black Swan’ by Nassim Taleb and read ‘Thinking, Fast and Slow’ by Daniel Kahneman. I either read on my Kindle, because I like to highlight some parts and export in Evernote, or listen to audiobooks, when I’m in subway or walking. I remember one of our investors Thomas Falk told me that in order to be entrepreneur you have to be smart, but not too smart. Sometimes you need to be brave and not overthink. The second one – I don’t remember who gave it to me – that we don’t need motivation to succeed, we only need discipline. At Getintent we have outstanding discipline and execution skills, which helps us to move super-fast while being extremely efficient. My personal strength is empathy. I understand people very well and can see their actual problems and concern, which is often not what they say. I would love to read Daniel Meehan from Padsquad. I love what they do. MTS: Thank you George! That was fun and hope to see you back on MarTech Series soon. George Levin is CEO & Co-Founder of Getintent. He holds a dual Master’s Degree in both Mathematics and Marketing. After five years of studying mathematics, George decided to change his field dramatically and in 2007 began his career in online advertising. 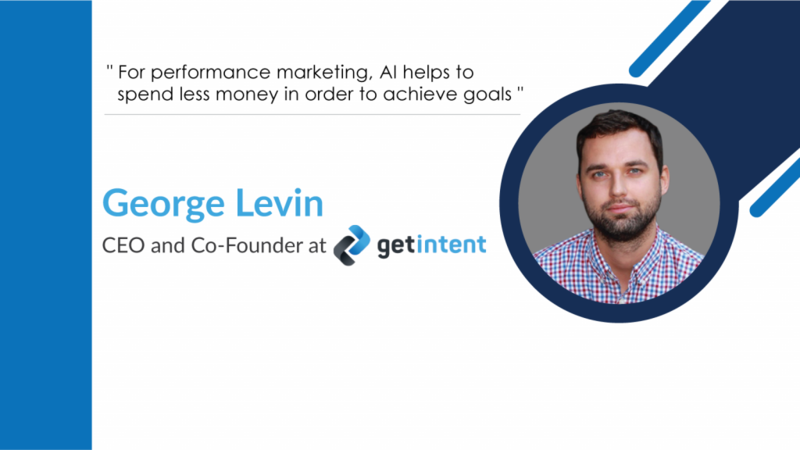 Attracted to accountability and predictability, George’s main areas of interest and expertise revolve around programmatic and machine learning. 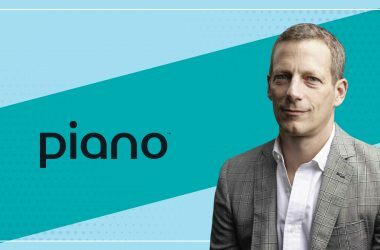 His professional passion for learning more about the advertising technology ecosystem led George, together with his fellow mathematician student Vladimir Klimontovich, to found the programmatic platform Getintent. With headquarters in New York, Getintent is one of the leading players in the global programmatic platform industry. 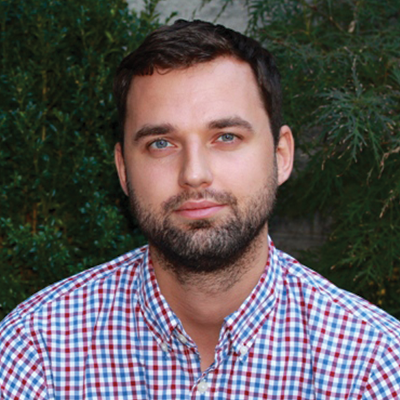 Getintent is an innovative NYC based adtech company that revisits programmatic. The Getintent Smarter Bidder is the company’s proprietary AI-powered technology that gives advertisers flexibility, control and transparency that rival custom-built software. With Getintent’s programmatic solutions, buyers get prime ad inventory across desktop, mobile, video, and native, enjoy smarter data-driven campaigns, and better viewability.